Sleep apnoea is caused by the throat muscles losing tone and the tongue flopping back into the airway COMPLETELY BLOCKING it off. It is a serious medical condition, as it results in the brain being starved of adequate oxygen repeatedly. It can result in high blood pressure, heart attacks, strokes, diabetes and many other health issues. Family members, especially bed partners, often witness the sufferer snore, stop breathing and/or gasp for air during sleep. In severe cases, this can occur 30 to 40 times per hour. The person who has sleep apnoea is not aware and does not remember waking up during the night. However, they experience excessive day time tiredness, find it hard to concentrate during the day, wake up feeling irritated and/or unrefreshed. Sufferers can also suffer from mood changes, weight gain and sexual dysfunction. It is important to note that sleep apnoea is a medically diagnosed condition. The first step is to simply have a sleep study, usually at home in your own bed. The test will determine if you suffer from sleep apnoea as well as measuring your oxygen levels, brain activity and body position, amongst others. The test results help to determine the best course of treatment for you. There are two frontline proven treatment options for sleep apnoea: CPAP (Continuous Positive Airway Pressure) machines and oral appliances. A CPAP machine is the most effective treatment for people with severe sleep apnoea. However, patients often find it constrictive and cumbersome, particularly when travelling. Unfortunately, these complaints lead to inconsistent use or even abandonment of the machine altogether. Oral appliances are indicated for people with milder forms of sleep apnoea. It’s also indicated for use in certain patients with severe sleep apnoea if they can’t tolerate CPAP machines. Surgery is a last resort treatment for sleep apnoea as the side effects can be significant. There are also countless numbers of unproven ineffective devices being advertised on the internet. They do not work and are not recommended for use. Oral appliances work by pulling your lower jaw and the tongue (which is attached to the jaw) forward. This keeps the airway open by stopping the tongue from flopping back into it. There is a large and growing body of scientific evidence demonstrating the effectiveness of custom-fitted oral appliances in treating sleep apnoea. There are several designs available based on the shape of your teeth as well as your bite. 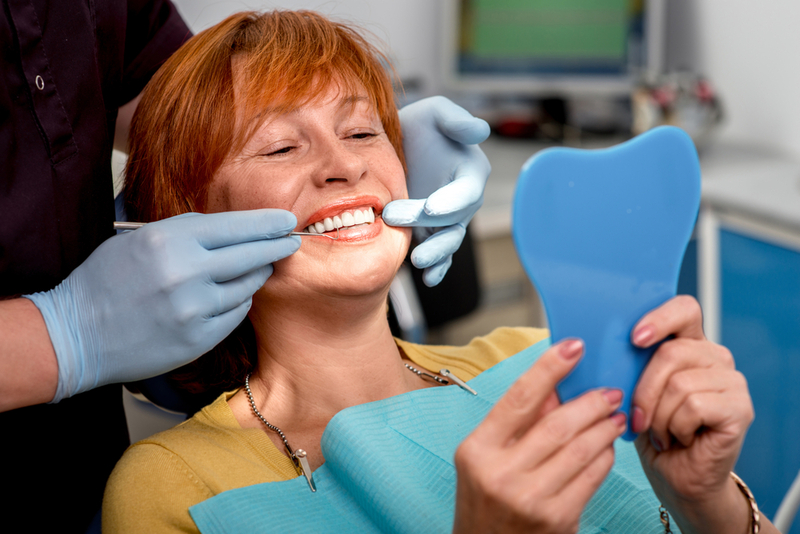 Custom-fitted oral appliances are unobtrusive, comfortable and effective. While there are ‘off the shelf’ oral appliances available, they don’t fit well, are bulkier, uncomfortable and much less effective as a result. At Westside Dentistry, we make custom-fitted oral appliances after a specialist sleep physician has evaluated your sleep study and properly diagnosed your condition. We will also work closely with your GP to achieve the best possible results. If you suffer from any of the symptoms of sleep apnoea or you have noticed your partner suffering from them, call Westside Dentistry today on 3278 0580 to discuss the treatment options. It’s not just a restful night’s sleep but your overall health that depends on it.